DUBAI – Dubai’s stocks on Monday dropped to the lowest level in almost six months, leading a decline in the Middle East, as unrest in the region escalated with demonstrations in Libya, Bahrain, Yemen and Morocco. 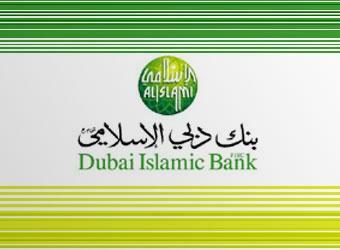 Dubai Islamic Bank PJSC declined 1.8 per cent and Emaar Properties PJSC tumbled to the lowest in almost a year. Dubai Financial Market’s General Index lost 1.3 per cent to 1,516.43 points, the lowest since September 2. Abu Dhabi Stock Exchange’s General Index retreated 0.47 per cent to2,620.29 points as banking, real estate and telecom shares fell in overall negative market. “Foreign investors are exiting the region as risk increases,” said Ziad Dabbas, a financial analyst at National Bank of Abu Dhabi PJSC. 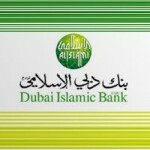 Dubai Islamic Bank fell to Dh2.21, the lowest since February 1. Emaar retreated 1.3 per cent to Dh2.98, the lowest since March 2010. Contractor Drake & Scull and logistics provider Aramex drop 4.7 and 4.1 per cent, respectively, with this pair among the stocks most widely held by foreign investors. “If the situation in Bahrain is resolved quickly and peacefully, equity markets should swiftly rebound, but if the situation drags on or even escalates into some sort of government change then most investors will be more reluctant to put money into regional equities,” said Akram Annous, MENA strategist at Al Mal Capital. Qatar’s QE Index and Oman’s MSM30 Index lost 0.9 per cent each to 8,488.08 points and 6,830.35 points, respectively. Bahrain’s gauge declined 0.4 per cent to 1,465.74 points and Jordan’s ASE General Index dropped 0.2 per cent. Kuwait’s measure rose 0.5 per cent to 6,426 points. Egypt’s bourse has been closed since the end of trading on January 27. The exchange hasn’t decided when to open and found no legal grounds to cancel January 27 trades, Chairman Khaled Seyam said on Monday.